modern literature | You're History! These days the changeling myth has lost much of its fearsomeness, although parents who learn of it probably have fleeting thoughts about how terrible it could be. With The Stolen Child, author Donahue takes this ancient scenario out of the fantasy realm and into the real one. To immerse one’s self into the narratives of Henry, the stolen child now trapped in a time warp, and other Henry, the hobgoblin who stole his identity and his very life, is to delve into the profound psychological effects that such a switch, if possible, might cause. Living forever and never aging sounds enticing, until the consequences, the gains and losses, are considered in their entirety. Similarly, the strain of pretending to be, and ultimately becoming, somebody else, would be equally burdensome. The Stolen Child is a tale that can be experienced on several other levels. There is the practical,eg, how could such an exchange be accomplished? There is the philosophical, eg, how could one be one’s self and someone else at the same time? And would it be worth trying to adjust to the changes? There’s the emotional, leaving one’s home/family/clan and breaking/forming different bonds. And of course there’s the simple adventure of it all. Real Henry’s situation is complex enough, but the substitute Henry must cope both with his new life and with several others as they become manifest to him. Donahue is a skilled writer, creating enthralling characters, plots, dialog, and consciousness. More than a coming of age story, it’s a study of human nature and basic needs. This debut novel is reminiscent of some of Neil Gaiman’s work, though with less of the magical and more of the existential. But like Gaiman, Donahue explores the archetypal themes of loss, love, identity, survival, and moving on. Here’s hoping for a new Donahue release sooner than later! “Everyone called him Popeye.” Thus begins Mister Pip, an eloquently written story about how profoundly literature can influence lives. As Popeye evolves into Mr. Pip, the personalities and character traits of the islanders also emerge. Mother and daughter, war and resistance, husband and wife, civilization and nature, life and death, black and white, nurturance and abandonment – these are dichotomies around which this novel plays out. Mister Pip is narrated by a young woman looking back upon her teen years on a remote Pacific island, who begins to come of age under the tutelage of the substitute school master. His true name is Mr. Watts, and he is the only white person on the island, having married one of its inhabitants. Every day, he reads part of Great Expectations to his mixed-age pupils, and the world opens up to each of them in a different way. 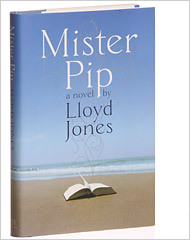 Dramatic, evocative, filled with hope, sorrow, and a touch of mystery, Mister Pip has deservedly won numerous literary prizes. This is an important book with a timeless, unforgettable message. Brunonia Barry’s impressive debut novel is not set in Kansas, but in Salem, MA, forever infamous as the home of witches and other “crazies”. The site of the tragic trials in 1692 is like no other town in the US. Setting her story of a mentally unbalanced young woman in Salem was a brilliant choice, because its foggy, mystical elements are more easily accepted against that most eccentric of backgrounds. Protagonist Towner (Sophya) Whitney starts telling us her biographical tale by warning us not to believe her. She is a self-described liar, but having reached the end of the narrative (in which another point of view is also provided), I do not regard her as untruthful so much as deeply, seriously deluded, a fearful patient in denial so impenetrable that it requires breaking down with a sledge hammer. Towner’s personal and psychological odyssey is a scary one, and the difficulty she experiences in coming to terms with it is fully understandable. This is an evocative page turner of a novel, and it is easy to fall under its spell. This book belongs on the shelf along side the likes of Rebecca, The Catcher in the Rye, and Housekeeping. 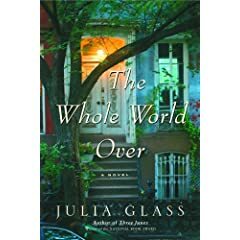 Julia Glass’s second novel has a little bit of a lot of things. Gay people, straight people, politicians, cooks, children, adults, animals, city, desert. Any one of her characters could serve as the focus of a novel, but here, the central ones are Greenie and Alan, who are having serious marital problems and, against Alan’s wishes, Greenie chooses to separate for a time, taking their obnoxiously precocious little boy with her. Shuttling between NYC and New Mexico, the action revolves around the decisions they make, but in my view, it’s the ancillary characters who generate the most human interest, especially Saga, Walter, and Fenno. Luckily, Glass is a competent writer whose prose is a pleasure to read, whose understanding of human foibles is deep. Otherwise, such a talky story, low on action and high on thoughts and feelings, might degenerate into tedium. That’s not the case, and I look forward to her next novel, in which I hope Saga and Walter play major roles.